During the past 20 years SAQ® International has earned an unparalleled reputation throughout the world for providing innovative movement training solutions, bespoke consultancy services and supplying professional grade SAQ® equipment. The SAQ® Online Sports College was developed to bring our unique training processes to the masses. The International SAQ Qualification Organisation is the official body for SAQ Training, including Certificates, Diplomas and One Day Awards. 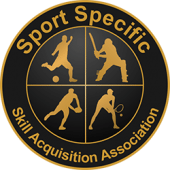 The Sport Specific Skill Acquisition Association is an independent non-profit association comprising of a number of experts in the field of training, conditioning and the transfer of those skills into sports specific movement. This group will approve and recommend training Awards that meet the criteria they have set out for their principles for this type of training.